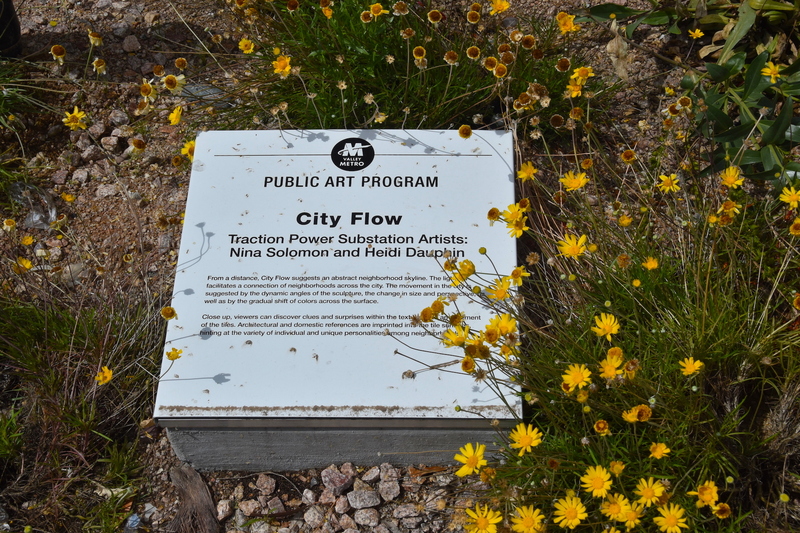 From a distance, City Flow suggests an abstract neighborhood skyline. 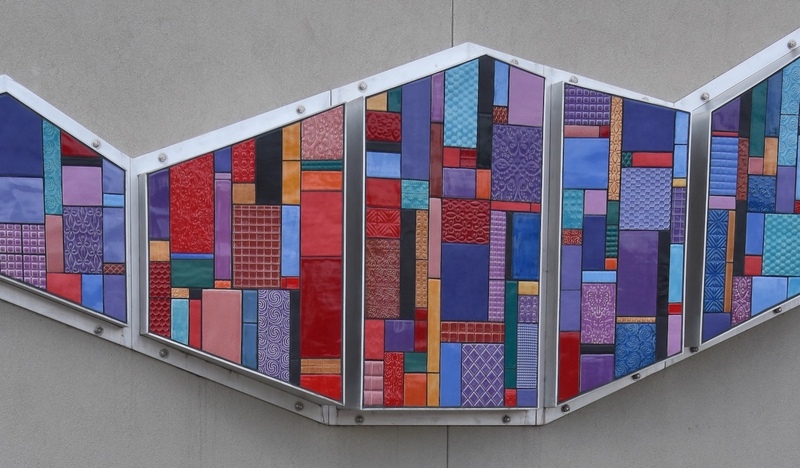 This piece was commissioned by METRO Light Rail, which facilitates a connection of neighborhoods across the city. The movement in the city is suggested by the dynamic angles of the sculpture, the change in size and perspective, as well as by the gradual shift of colors across the surface. 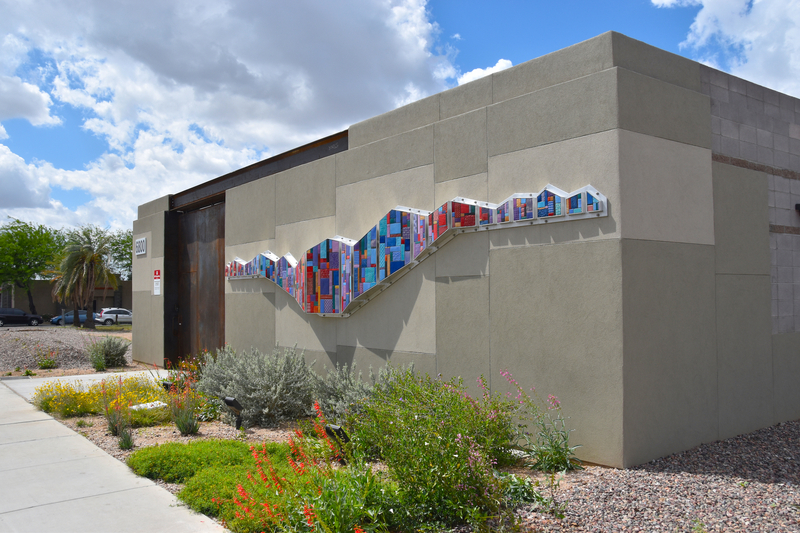 Materials: Handmade ceramic tiles, aluminum frames, stucco. 6800 N. 19th Ave, west side of 19th Ave. just south of Glendale Ave.
Close up, viewers can discover clues and surprises within the textures and arrangement of the tiles. Architectural and domestic references are imprinted in the tile surfaces, hinting at the variety of individual and unique personalities among the neighborhoods. 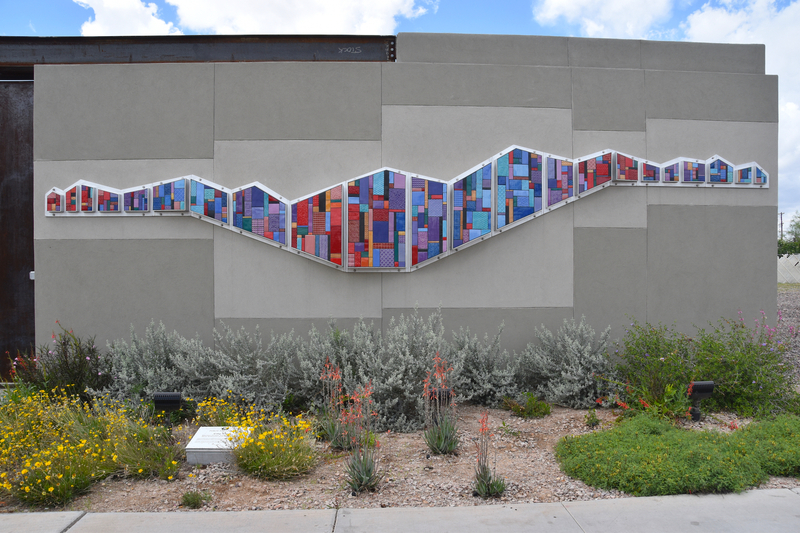 Over 400 ceramic tiles were made to fit into 22 aluminum frames to complete this project.